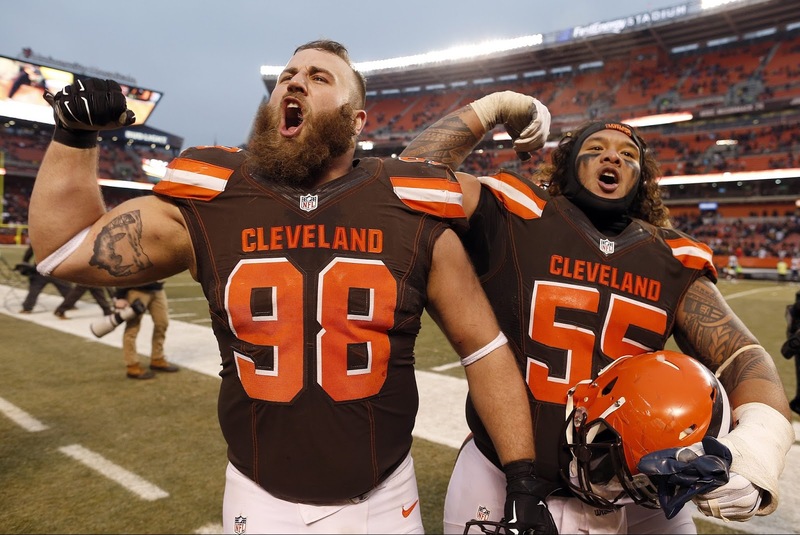 Browns defensive tackle Jamie Meder was named AFC Special Teams Player of the Week for his blocked field goal last Saturday that preserved a lead and led to the Browns getting their first win of the season. Meder blocked a field goal by Chargers kicker Josh Lambo with 3:49 left, and Lambo then missed another field goal as time expired. There was much rejoicing as the Browns improved to 1-14. Meder, who grew up near Cleveland, is in his third year with the team and has played in 14 games this season. He broke into the league with the Ravens in 2014 as an undrafted free agent out of Div. II Ashland.